Are You A Steve Jobs or George Washington Leader? “Faith In America’s Future” is the foundation theme for this year’s inauguration day on January 21, 2013. As we look ahead to Inauguration Day, we will most likely reflect on the November election and envision what our future holds and study the leadership qualities breathing within the leaders of our country. True leadership leaves a legacy. 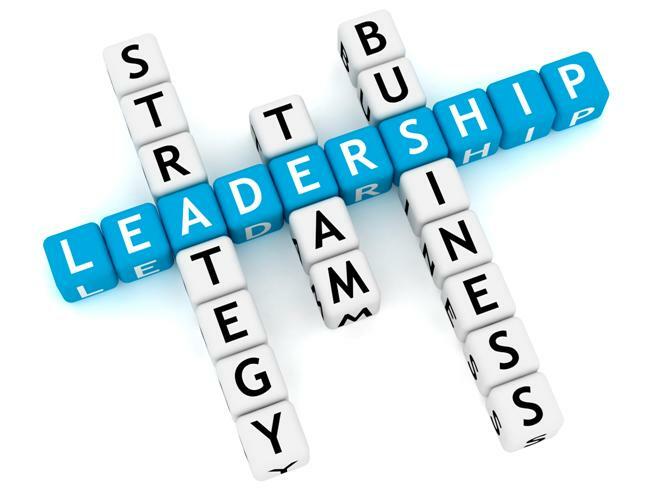 Now is the time to audit your leadership style and align it with the legacy you will bestow. Leadership styles certainly vary as evident when comparing style and leadership qualities between admirable leaders such as George Washington, the first President of the United States, and Steve Jobs, CEO of Apple. The two owned very different leadership styles, yet both left a legacy. “Although he lost most of his battles with the British, year after year he held his ragtag, hungry army together” – from the EDSITEment resource The American President. 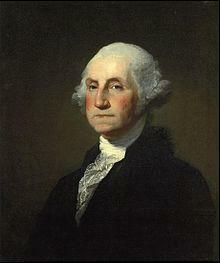 What combination of qualities enabled George Washington to succeed as a leader and emerge as the most significant leader in the founding of the United States of America, to the extent of being called the “Father of the Country”? Resources tell us President Washington embodied experience and strategic thinking as well as being resourceful, quick witted, careful and both gentle and brutal. None of these qualities were cited as the most significant in the man who was able to lead through victory or defeat. Regarded as an indispensable man, his character was the most commonly cited quality, beyond his intelligence and ideas as he emerged to a supreme leader. Most every article you read recalls Steve Jobs broke every rule in leadership. “He never mellowed, never let up on Apple employees, never stopped relying on his singular instincts in making decisions about how Apple products should look and how they should work”, New York Times columnist Joe Nocera told Forbes. 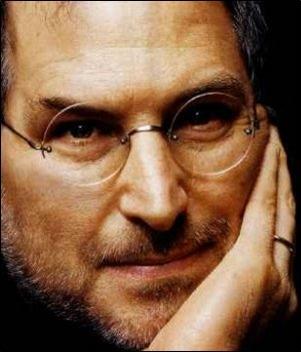 Jobs’ magnetism was found in his passion, innovation and creativity. Although his leadership style was not adduced by character, it is easy to say that Steve Jobs impacted many lives. Perhaps in today’s world, a combination of George Washington and Steve Jobs would prove to be the epitome of leadership. While expertise and background cling to being vital, it is crucial to develop leaders capable to deal with dubiety and change, to lead and cultivate innovation and creativity, and to make and implement decisions quickly. Beginning with the end in mind serves as a vital principal to follow in every area of business and personal life. The same holds true in leadership. Knowing where you want to be and what you want to accomplish provides you with a map depicting how you will get there creating viable results. Leadership requires wrapping surrogate assumptions and paradigms as part of a larger vision that enlivens new representation and inspiring a team to move to a shared vision by building trust. Avoid setting blanket goals but strive to set specific and measurable goals, which will create increased employee engagement and motivation. Provide employees with an effectual vision easy to understand and concise along with an emotional aspect each team member can embrace. Inspiring a team to move forward to a shared vision requires building trust: believing a team of people can modify all the challenges that congest creating a future quite different from the present. When your team refers to your firms’ vision, you will equip them with the ability to affirm how their work directly contributes to the big picture of success. Admirable leaders grasp compiled knowledge from their team to recognize applicable solutions. Additionally, effective leaders consult with a mix of people and resources to procure alternative perspectives in order to balance and manage risk. Regardless of the situation, reacting cogently to change is necessary by uniting a harmonious culture through modeling placid behavior. Worthy leaders embody candor, courage and empathy through decisions made in the best interest of the firm, team members, clients and their community. Without followers, a leader is simply one person with a goal or an idea. Realization of relying on the support, knowledge and skills embodied in a team is vital to noble leadership. Successful followers are not idle robots waiting for commands, they understand the vision of the firm and freely support leadership without reservation. The most compelling team members are those that possess the ability to lead and follow. Followers have the ability to assess situations and respond accordingly without requiring incessant need for direction and supervision. Followers shift to leaders at different intervals throughout any given day. Being a great follower is just as important as being a great leader to achieve success. An example of incredible teamwork is displayed during The Crucible in the United States Marine Corp. The Crucible emphasizes trainee teamwork under stress. Recruits get 8 hours of sleep during a 54 hour exercise and are allowed very little food while undergoing tough physical activities. It isn’t long before the band of brothers are tired and hungry, but as they continue going they come to the realization they can call on reserves they didn’t know they had. By day two of the ritual, recruits realize they have to rely on each other. No one gets through the crucible alone. When leaders support followers, ideas mold into form and visions become reality. “You ought to be glad for the troubles on your job because they provide about half your income. If it were not for the things that go wrong, the difficult people with whom you deal, and the problems of your working day, someone could be found to handle your job for half of what you are being paid. Symbolic occasions make you a better leader whether they take place at work or in your personal life and no matter where they happen they are an important part of leadership development. Link the occasion to a gift of opportunity; step up and be or do something you have never done before. Leadership is innately about people which helps us to understand why the most experienced technical expert may not make the best leader in a given environment. Leaders display the behavior that is compensated. Firms should ensure that performance management systems do not reward individuals who manage only by exercising their authority. Do you have a leadership program or process in place at your firm? Tell us about it! Ironstone’s Vision is to forge and guide the personal and professional lives of entrepreneurs and business professionals alike to realize their full potential. Coaching and consulting allows us the opportunity to form an environment where success happens and goals are reached. Contact Ironstone with your questions & let’s get started! Categories: Business Development | Tags: : Andrea Schlapia, A Manifesto for Leadership Development, admirable leaders, advisory firms, attributes of goof leaders, best leaders, business development, characteristics of good leaders, consulting, Faith In America’s Future, financial advisor business coach, financial advisor business coaches, financial advisor business coaching programs, financial advisor business consultant, financial advisor business consultants, financial advisor business consulting, financial advisor business training, financial advisor coach, financial advisor coaches, financial advisor coaching, financial advisor coaching programs, financial advisor consultant, financial advisor consultants, financial advisor consulting, financial advisor training, financial advisors, financial coaching, financial planner coach, financial planner coaches, financial planner coaching, financial planner consultant, financial planner consultants, financial planner consulting, financial planning, financial services coach, financial services coaches, financial services coaching, financial services consultant, financial services consultants, financial services consulting, Fundamental 4, George Washington, goal setting, goals, Great Day Every Day, how do I write a leadership plan, how should I prioritize, I want to be a leader, inauguration, inauguration day, Ironstone, Ironstonehq, leadership, leadership attributes, leadership characteristics, leadership development, Leadership on Trial, leadership planning, leadership qualities, leadership skills, management, Max Lucado, measurable goals, micromanagement, operational effectiveness, prioritization, risk management, skills of good leaders, Steve Jobs, strategic planning, strategies, The Crucible, the human element, top advisors, top leaders, United States Marine Corp, vision, vision statement, ways to prioritize, wealth management, what do I need to be a leader, what do I need to do to be a leader, writing a vision statement | Permalink.